For more than two decades, the Treasury Casino has delighted locals and tourists alike. 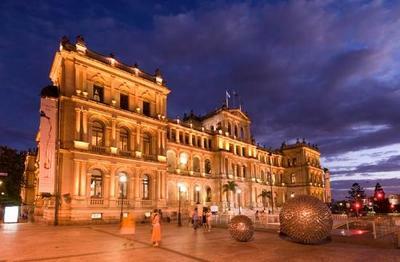 Set in two Edwardian heritage properties, the Brisbane casino and hotel offers some of the city's best entertainment. The casino isn't just open at all hours, but features an impressive selection of table and electronic games. Roulette fans in particular will appreciate the range of traditional and automated tables at a wide variety of stakes. With supreme restaurants, unbelievable bars, and 127 room luxury suites on site, the Treasury is worth cherishing. Visitors to Treasury Casino can play both American and European roulette. Just like at most gaming establishment, the table variety and stakes at the Brisbane casino vary to meet player demand. Naturally, European roulette tables have higher minimums. Any seasoned roulette player will tell you to steer clear of the American version of the game, but it's still nice to have options. Speaking of choices, you can enjoy standard, fully-automated, and semi-automated roulette games. The traditional roulette tables are available all day and night and operate exactly like you would expect. All the croupiers we encountered were good-natured and happy to make conversation. If you are new to roulette, they'll gladly give you a lesson provided there isn't a crowd. That means you shouldn't expect a tutorial on a busy Saturday night. You might find it hard to believe, but many people are intimidated by table games, especially roulette. Perhaps it's the confusing etiquette, the sea of patrons fighting for a spot of the table, or the storied history of the game. While it doesn't take too long to get a hang of the live action, Treasury Casino lowers the pressure with fully automated and semi-automated roulette. Vegas Star roulette is a fully electronic and faithful version of the game. A virtual dealer runs the show and you'll be able to place your wagers on a handy touch screen. You'll also find Rapid Fusion roulette, which finds a live dealer spinning the roulette wheel but you'll get to place your wagers on your own terminal. The format is great since it lets more players enjoy games at the same time without slowing down the action. As the fusion name implies, other table games are conducted simultaneously, so it's possible to play other games without getting out of your seat. You can even play as many as four games at once. Fully and semi-automated games tend to give you more control overall. You can usually play at lower stakes and faster speeds if you prefer. It's a great way to learn the game and your new skill translate perfectly to traditional tables all over the world. Of course, these games aren't just for beginners. Everyone of legal age is welcome to play. 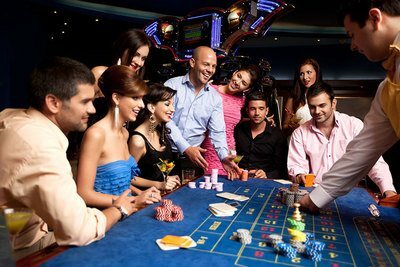 Casino patrons will love the selection of table games available around the clock. Experience blackjack, treasury 21, Caribbean stud, three card poker, Texas hold'em bonus, Mississippi stud poker, sic bo, craps, mini baccarat, and the treasury wheel. Players can also access automated Vegas Star roulette and baccarat as well as Rapid Fusion mini baccarat for even greater variety. If pokies are more your style, then feast your eyes on more than 1,600 gaming machines with plenty of progressive jackpot games yielding massive jackpots. If you love the intensity of playing poker against your peers, you won't find better action in Queensland. The poker room has enough cash games and tournaments to satisfy even the most discerning players. Enjoy deep Texas hold'em and Omaha. If you're on a budget, there are lots of opportunities to satellite your way to the big time. As a Star Entertainment Group property, The Treasury participates in the Absolute Rewards loyalty program, which is also used at Jupiters Hotel & Casino Gold Coast and Star Sydney. Like most gambling rewards programs, you'll earn points when you dine, drink, stay, or play at any of the three participating casinos. You'll be able to redeem your points for food, accommodation, spa treatments, drinks, gifts and so much more. Membership is free, so it's worth signing up even if you aren't a regular gambler. You'll need to be an Absolute Rewards member to take advantage of all the great promotions like cash giveaways. Qualifying cardholders can also gain entry to four fantastic VIP gaming areas. Fall in love with the elegant ambience and get the service you deserve while taking advantage of private tables or higher stakes. Thanks to its six restaurants and five bars, Treasury Casino & Hotel serves delicious fare all day and well into the night. Relish everything from inspired Asian-fusion dishes at Luke Nguyen's Fat Noodle to premium steak and seafood at The Lab Restaurant and Bar. There's also plenty of modern pub fare, handsome sandwiches, and classic Australian cuisine at the casino's other great eateries. If you're looking for wine, spirits, cocktails, or otherwise, it's not hard to feel at home. From the party atmosphere at Livewire sports bar to the sophistication of The Kitty cocktail bar, there's always a spot and drink to suit your mood. The Treasury offers some of Brisbane's best accommodations. Visitors have their choice of staying in either the Land Administration Building or Treasury Building. With 127 luxurious rooms spread over the two heritage properties, there's plenty of magnificence to go around without venturing far. With the magic of Brisbane mere metres away, there's no shortage of excitement beyond the casino's doors. Yet the Treasury calendar is packed with great live entertainment every Thursday through Sunday. Enjoy musicians of every conceivable style and incredible DJs. Just head to The Kitty or Limewire and let loose. Treasury Casino & Hotel accepts a whole host of Australian-friendly banking options. These include Visa, Mastercard, Maestro, PayPal, POLi, Neteller, Ukash, ClickandBuy, and many more.